Job-Link staff assist with digital training modules. FORT MYERS, Fla. - Feb. 6, 2019 - PRLog -- People who want to learn new or more advanced computer training and software skills to gain employment or to advance their careers are invited to attend an Open House for Goodwill's Digital Training Center. The Open House is scheduled from 10 a.m. until 2 p.m. Wednesday, Feb. 27 at Goodwill's Lehigh Acres Job-Link Center, 2825 Lee Blvd. in Fort Myers. The Lehigh Acres site is one of five Southwest Florida locations offering the training, available through Goodwill Industries of Southwest Florida. The new initiative offers a personalized way to enhance a person's computer skills or to become Northstar certified in one or more software programs. Goodwill was given one year to meet a goal of reaching 2,000 people. "We've accomplished that in only half the time, demonstrating our community's desire to increase their digital skills. We continue to accept new learners, but we also are focusing on placing those individuals in employment and helping them advance their careers," said Fred Richards, Vice President of Goodwill's Community Support Services. On-site Job-Link coordinators will answer questions and assist Open House attendees at computer work stations. Digital Training Center participants can learn Basic Computer Use, Internet and Email, the Microsoft Suite of Word, Excel and PowerPoint, Social Media, and Information Literacy, among other topics. Other courses address language learning (Spanish and English), money management, work place skills and more. Future levels of training will help individuals obtain certifications and employment in entry and mid-level digital careers, such as computer programming and networking. All participants also receive employment soft skills training, resume preparation, and job placement services through Job-Link staff. 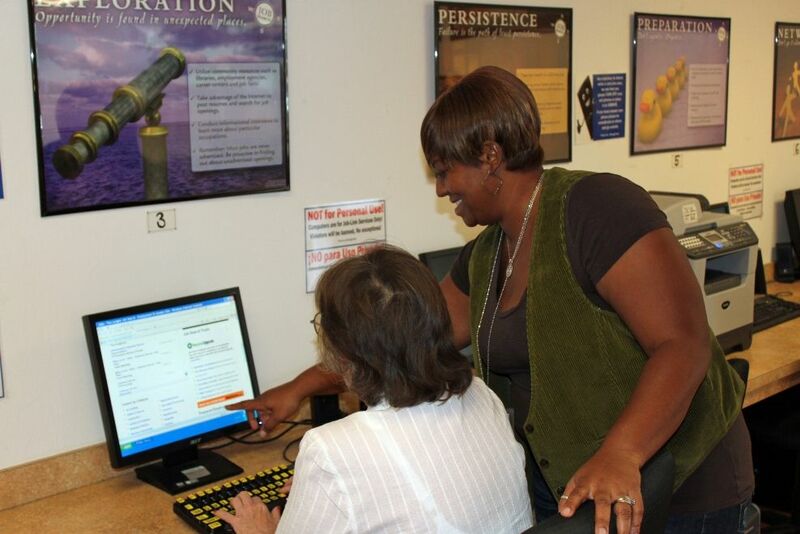 Centers are also located at Goodwill's Opportunity Center in the Community Support Services Computer Lab, 5100 Tice St. Fort Myers; and Job-Link Centers in Bonita Springs, Fort Myers, Naples. Goodwill Industries of SWFL was awarded a $50,000 Goodwill Digital Career Accelerator® grant from Google.org to provide basic computer classes, programming courses and IT certificate training to local residents. The grant is a part of a national digital skills training initiative made possible by a $10 million investment from Google.org, as part of the Grow with Google initiative to help create economic opportunities for Americans. It will enable more than one million people to receive digital skills training over the next two years at 125 Goodwill organizations nationwide. Goodwill Industries of Southwest Florida, Inc. is a 501(c)(3) nonprofit organization that serves Collier, Lee, Charlotte, Hendry and Glades counties. Its mission is to help people with disabilities and disadvantages by offering life-changing opportunities to achieve independence. Goodwill's programs in Southwest Florida also include, adult and youth employment services, connections to community resources and jobs, small business training classes, disability-accessible housing, a camp for adults with disabilities and more. The retail stores collect and sell donated items and new goods, which help fund the services and programs offered in Southwest Florida. 89 cents of every dollar goes back into supporting Goodwill's programs and services in our Southwest Florida area. The organization is currently in its 52nd year of operation. For more information about Goodwill Industries of Southwest Florida, please visit http://www.goodwillswfl.org or call (239) 995-2106.